Once I discovered how easy it is to make pancakes from scratch, I stopped buying processed pancake mix. 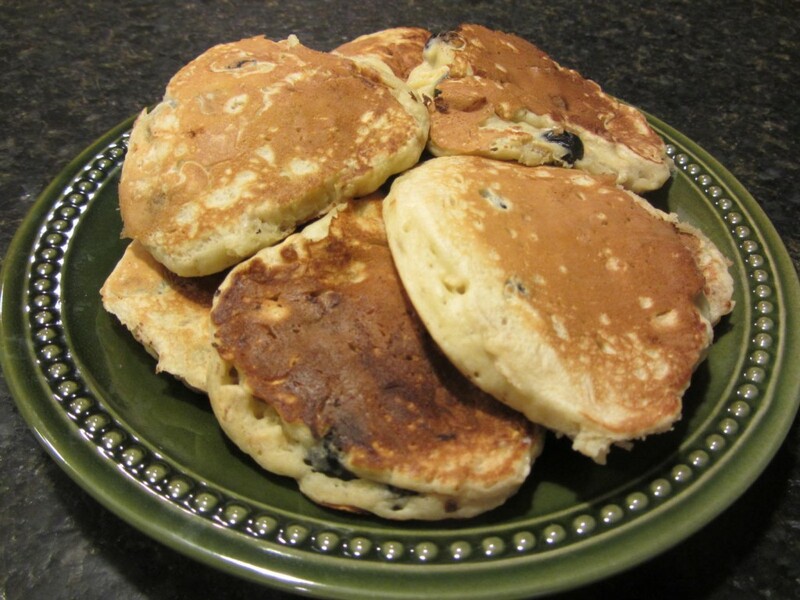 I have a half dozen pancake recipes that I love, but this is one of my favorites. 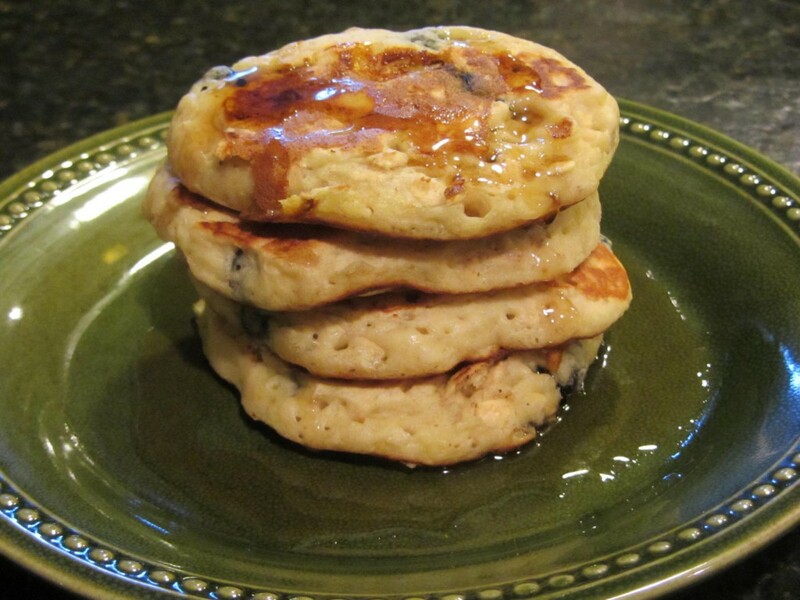 After you try it, I bet you’ll join me in tossing out the pancake mix and focusing on real food pancakes from scratch. There really is no reason to ingest ingredients you can’t pronounce when these pancakes are so easy to make! Check out the directions below in pictures, and then pop to the bottom of the page for a printable recipe card that has nutritional information. Start by mashing up your banana with a fork. You’ll want to use a ripe banana – one that has spots on the skin or is even totally black. Next add the applesauce and egg to the banana. Then add the milk and stir it up well. 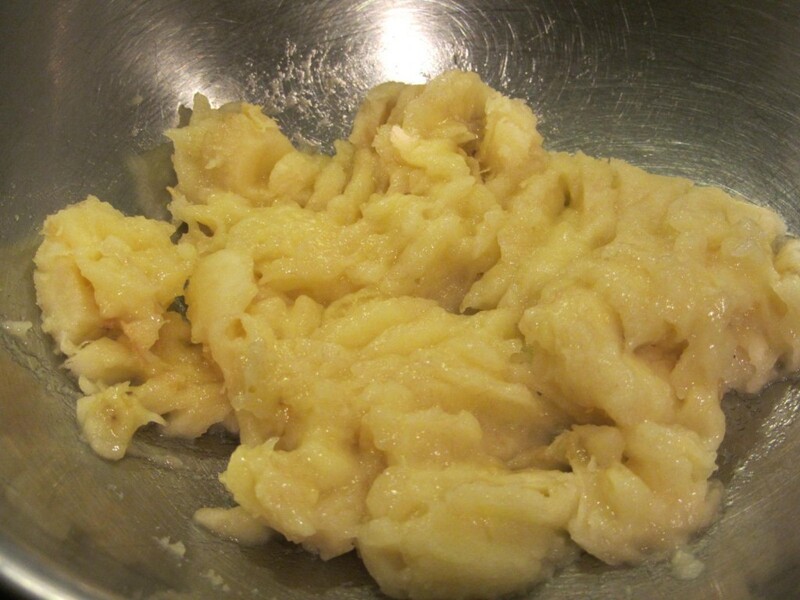 If you don’t have applesauce, you can substitute vegetable oil. It will taste the same…just won’t be quite as healthy. In a separate bowl, combine the dry ingredients and then make a well in the center by pushing the mixture to the edges of the bowl. 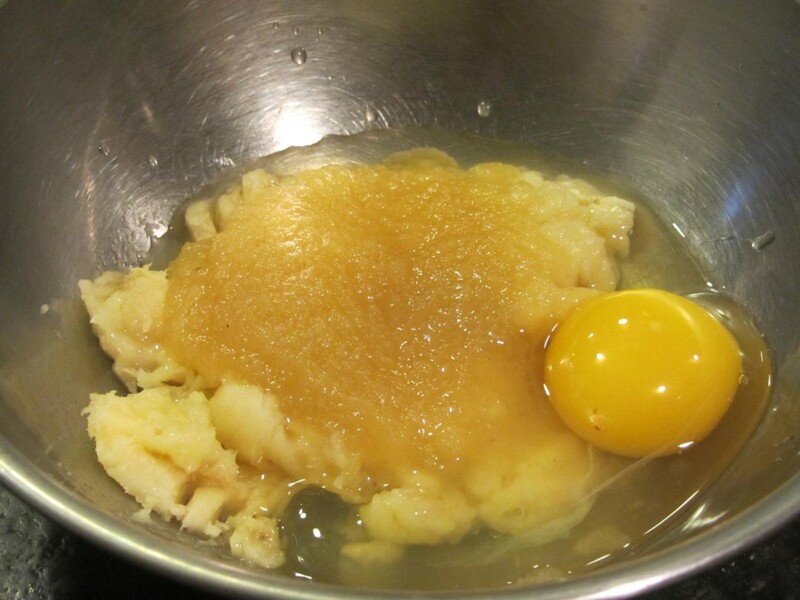 Add the wet ingredients to the dry ingredients and mix just until you don’t see any dry ingredients anymore. Add your blueberries last. If you have frozen blueberries, leave them frozen. Heat a skillet on medium heat, and melt a little butter in the pan. 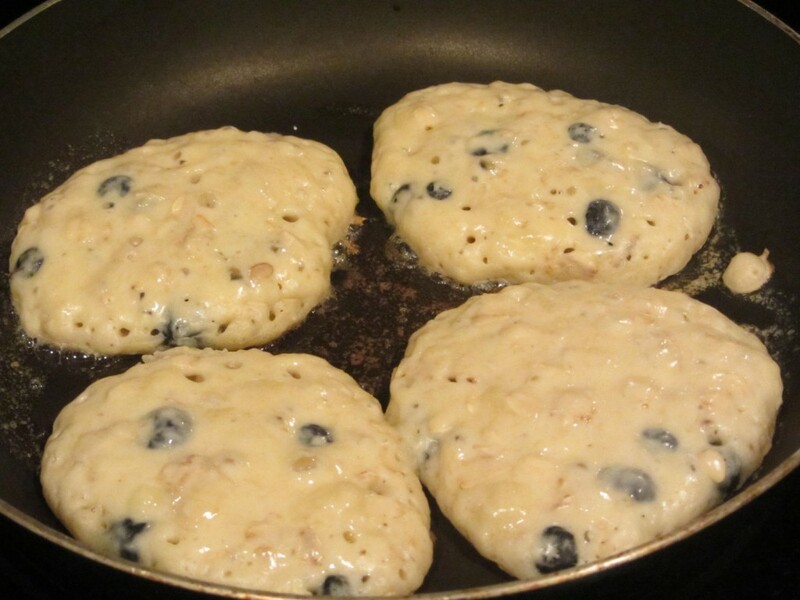 Add scoops of pancake batter to the pan, making sure the pancakes don’t touch each other. IMPORTANT: Don’t cook these pancakes on too high of a heat. The batter is thick and it takes a little time to cook them all the way through. Wait to flip the pancakes until you see small bubbles on top and the bottoms are lightly browned. 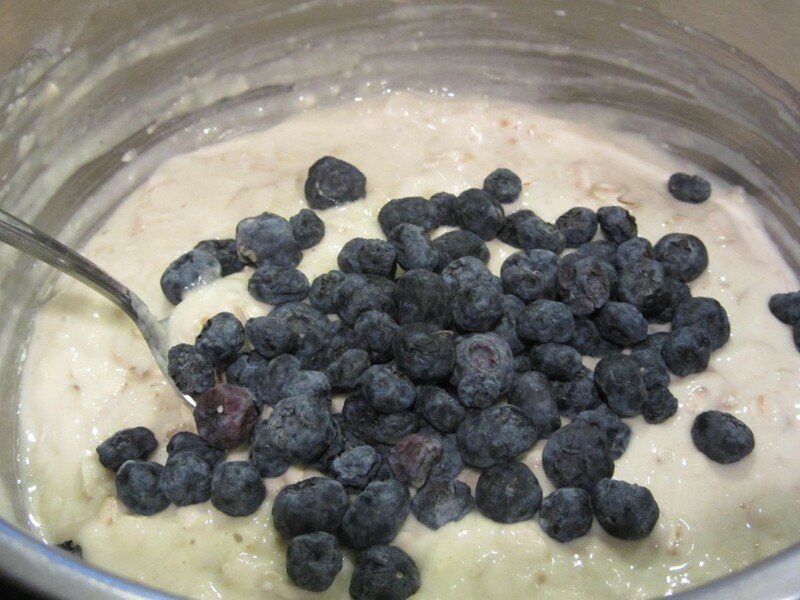 If you don’t have any blueberries, you could simply leave them out and have plain banana pancakes, or you could add in 1/2 cup of pecans or walnuts. One batch gives you about 9 hamburger bun sized pancakes. Top with maple syrup and serve! These sound great! I just bought a big bag if the processed stuff, but I was thinking I’d like to start making them myself. I think I’m goin to leave that bag as backup or for my husband when he makes breakfast and start making healthier versions from scratch. Thanks for the great recipe! These look yummy and healthy. Pinned. When I was acollege student I used to mix up pancakes several times a week for breakfast. I got so fast, I could grab and measure everything in the time it took to heat my pan 🙂 I think homemade is better than using a mix and really not hard. I agree completely about pancake mix. I haven’t bought it in years. It’s one of the easiest things to make from scratch with stuff already in your house. I have so many pancake recipes now it’s hard to pick one. These were fantastic, I gobbled them up as did my SO. These pancakes are very good. I subbed plain yogurt for the applesauce. They do take longer to cook than regular pancakes, but the extra time is really worth it. I suggest using small blueberries, mine were huge to get the cakes to cook evenly. Thank you! Made for Down Home Cooking Tag in FFF. 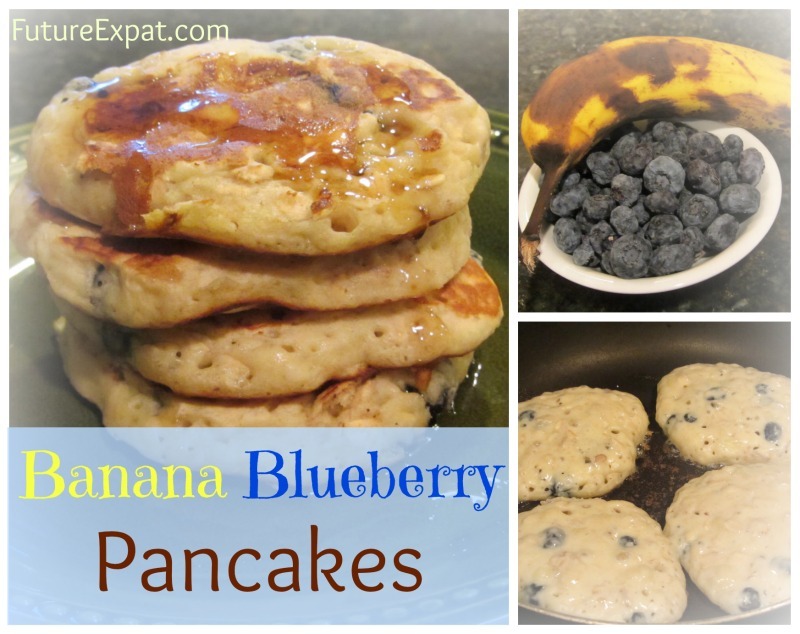 Another delicious breakfast recipe — I love blueberries and banana together. Made a wonderful morning treat for us.